A memorial outside of the Tree of Life Synagogue where 11 people were killed by a lone gunman. Butnick hosts the popular Jewish podcast Unorthodox, a Tablet Magazine production. Hear her talk about what it was like to formally meet Pittsburgh in the midst of tragedy, an experience she says taught her a lot about the meaning of community. Then, NPR's David Greene looks back at this week from a national media platform. Greene, who spent his youth in Pittsburgh, says he's covered a number of mass shootings, but never one situated in a place he's so familiar with. Greene says his mother worked with Joyce Fienberg, one of the 11 victims, at the University of Pittsburgh. And, The Allegheny Front's Reid Frazier sits down with two local Holocaust survivors to talk about the impact that the Tree of Life shooting has on the larger American Jewish culture. Moshe Baran and Sam Gottesman live on the same floor of a Squirrel Hill apartment building just five blocks away from the Tree of Life synagogue. They reflect on the history of anti-Semitism in America and their experiences fleeing violence in Europe, only to find it later in Pittsburgh. 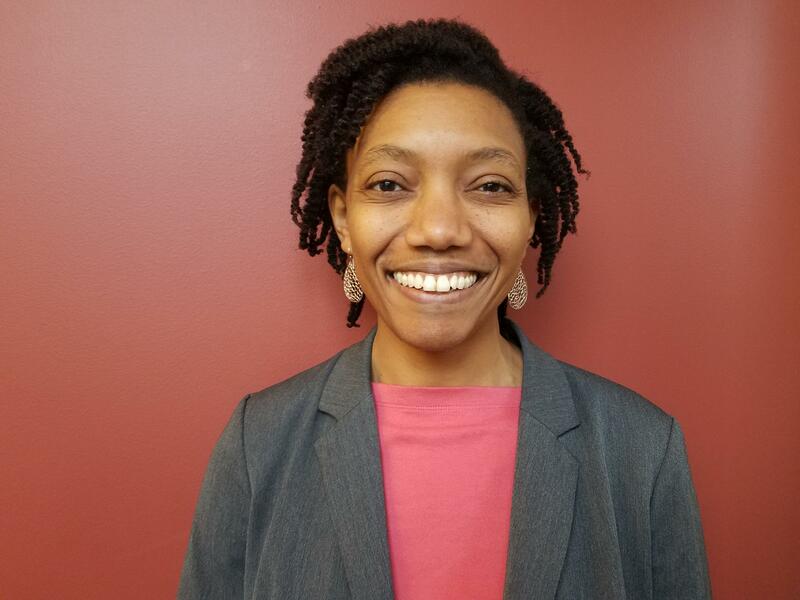 Joylette Portlock will become executive director of the nonprofit Sustainable Pittsburgh in December. Elsewhere in the program, Joylette Portlock was recently named Sustainable Pittsburgh's next Executive Director. She'll take the reins from Founding Executive Director Court Gould. Hear her explore strategies she hopes will encourage sustainable practices in Pittsburgh. Portlock says she wants to continue the expansion of the non-profit into the community development sphere. Then, Democrats on Capitol Hill hope that a blue wave will sweep them into control of the House of Representatives this election. But in Pennsylvania, no neutral observer thinks Democrats can retake either chamber of the state legislature. Keystone Crossroads' Jim Saska takes a look at how Pennsylvania's House of Representatives became so Republican and the chances of any Democrats making an impact on the numbers. The party has not held a majority in both houses since 1993. Fred Rogers' famous advice "look for the helpers" has been a salve for many this week as Pittsburghers struggled to cope with the shooting deaths of 11 people in Squirrel Hill on Saturday. In what’s emerged as one of the region’s most dramatic races, state Senate candidates Jeremy Shaffer (R - Ross) and Lindsey Williams (D - West View) met Thursday evening for their lone debate. Friday brought the end of a wrenching series of funerals as the oldest victim, 97-year-old Rose Mallinger, was being laid to rest. *This story was updated at 5:11 p.m. on Friday, Nov. 2.